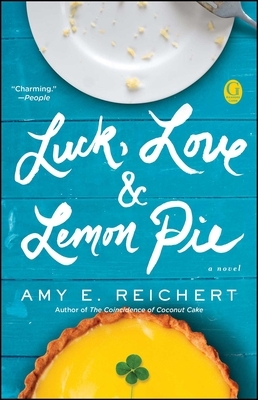 From the author of the “clever, creative, and sweetly delicious” (Kirkus Reviews) The Coincidence of Coconut Cake and The Simplicity of Cider comes a novel about an exasperated wife and mother who makes a play to reignite her marriage—and risks everything in a gamble she hopes is a sure bet. Although the game doesn’t give her the quality time with Chris that she’d hoped, MJ finds she has a knack for it. Increasingly unhappy at home, she turns to the felt top of the poker table for comfort. Intoxicated with newfound freedom, MJ begins spending more time at the gambling tables and less with her family, finally carving out for herself a place outside her role of wife and mother. After a string of great wins, MJ finds herself in Vegas, attracting the attention of a certain magnetic poker star. But when she’s forced to choose between her family and her new exciting lifestyle, the stakes may be higher than she thought and MJ will have to play her hand carefully…or risk losing it all. "What's the cure for a marriage gone stale? MJ Boudreaux is hoping it's poker, but when her skills take her from Milwaukee to Vegas, she faces tough choices. Charming."